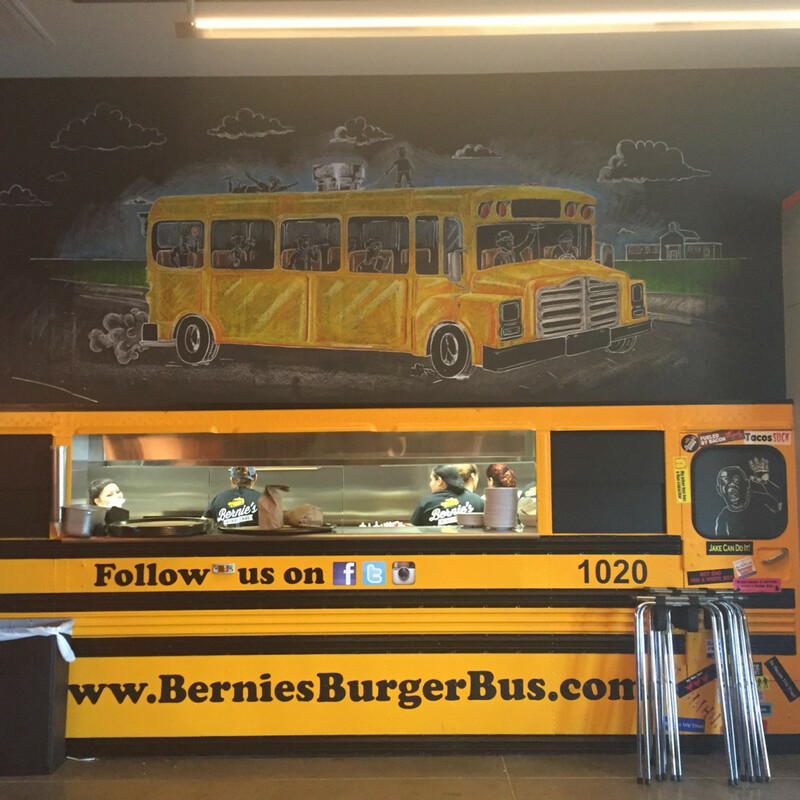 Judging by the crowd that turned out for Saturday's opening, it seems Katy residents are pretty excited that their six-month wait for the opening of Bernie's Burger Bus in La Centera has come to an end. A line formed shortly before the 11 am opening, and the restaurant stayed busy throughout the lunch rush. 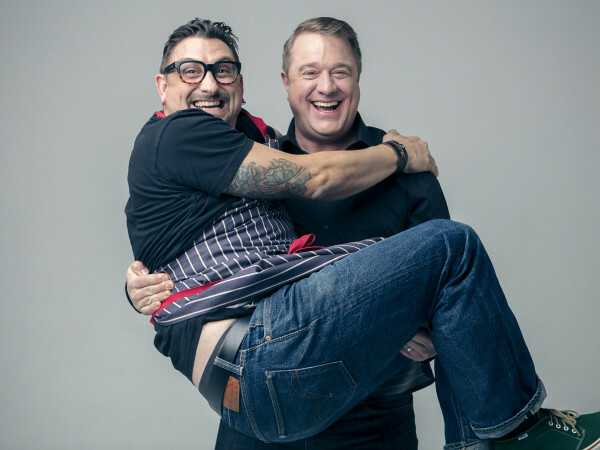 Bernie's is the latest Houston restaurant to head west to the rapidly-expanding suburb. 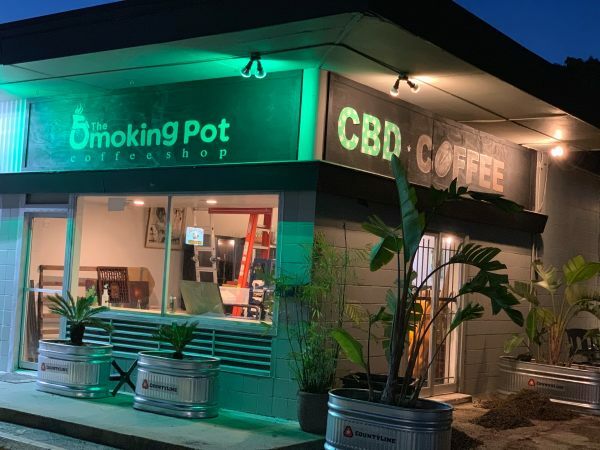 Already, BB's Cafe, Dish Society and Little Woodrow's have taken the plunge, and the enthusiastic response to the recently opened Brick & Mortar Kitchen alongside the new Gallery Furniture suggests that area residents are happy about the new arrivals. 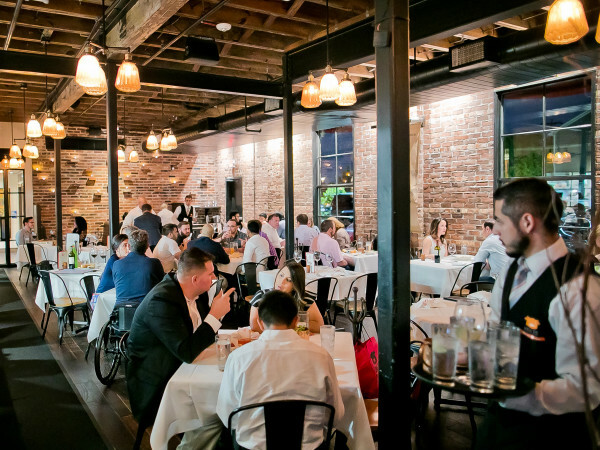 Once inside Bernie's, patrons found an interior that applied the lessons of the first location in Bellaire to improve the dining experience. Most importantly, the new Bernie's features substantially more interior seating with only a small patio and a six-seat bar as alternatives to the tables in the dining room. 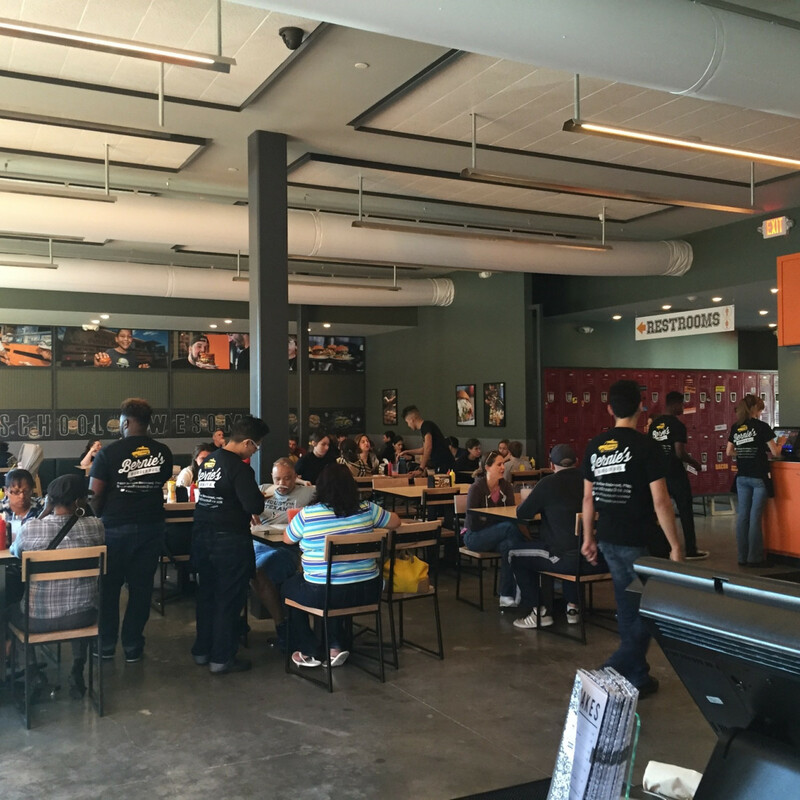 The total capacity of both restaurants may be about the same, but the extra interior seating makes the Katy location feel much larger. Perhaps the most noticeable design change is the absence of an actual bus in the interior. Instead, the wall above the pass features a bus drawn with chalk, and the area around the pass has a bus motif. 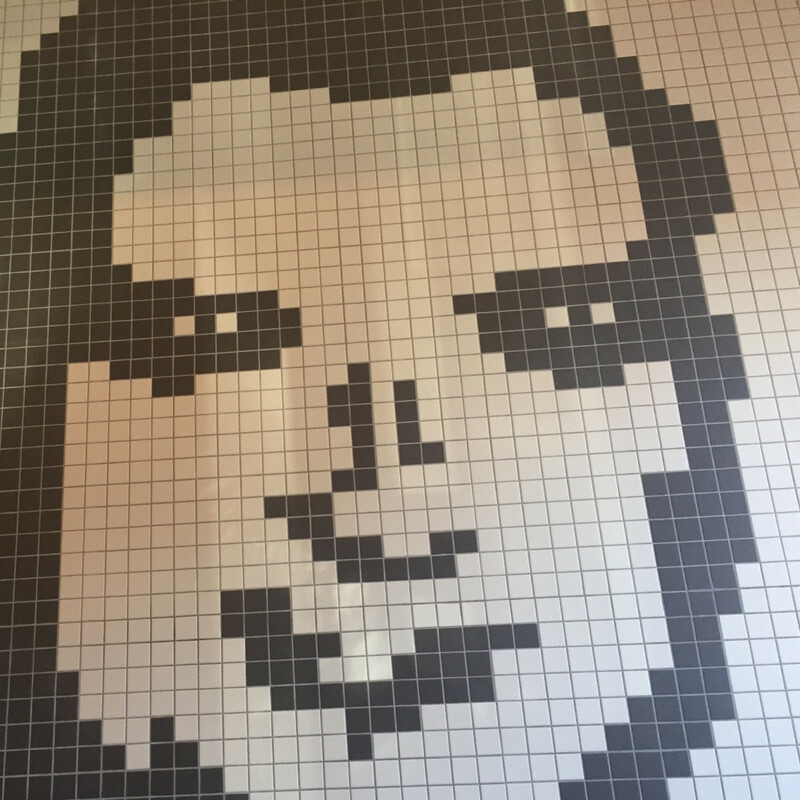 Instead of a bus, black and white tile "Bernie" logo, modeled after owner Justin Turner's grandfather, stands as the signature design element. 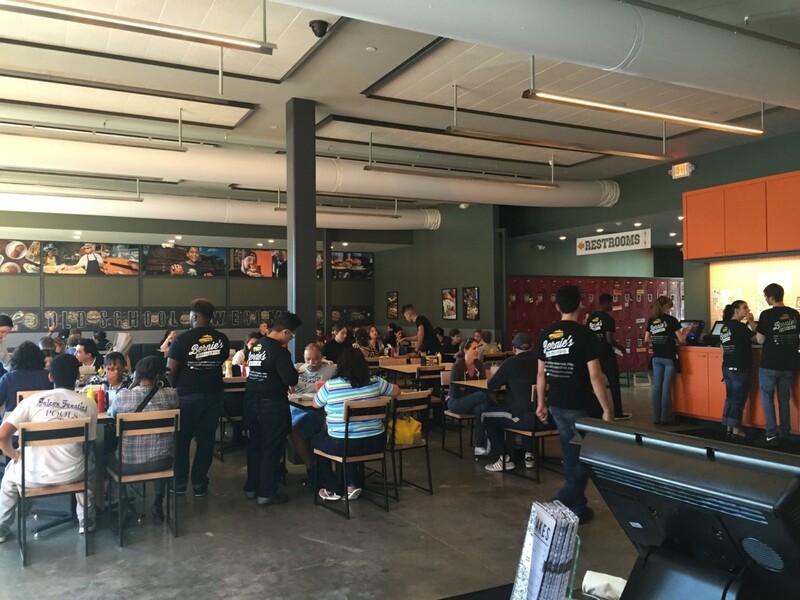 While the restaurant may look different, the Katy restaurant offers the same menu as the Bellaire location. That's a good thing. 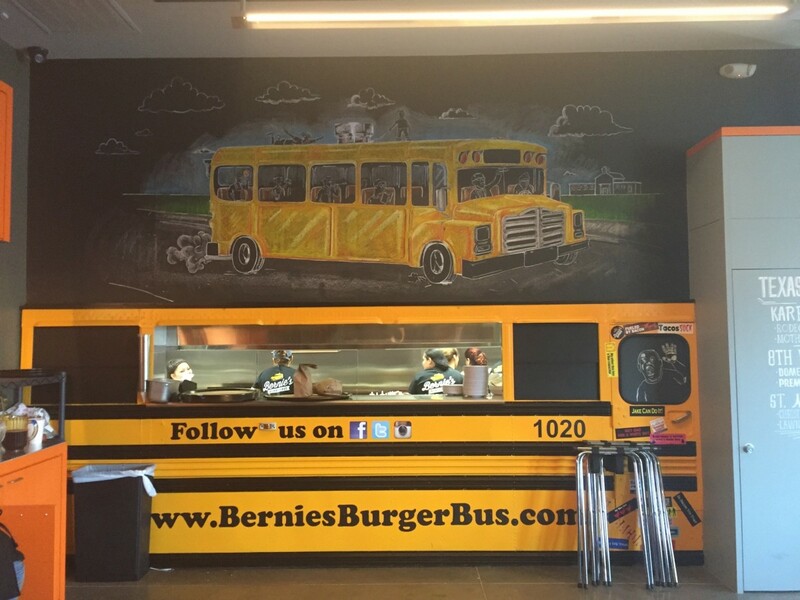 Maybe the best thing, since serving high-quality burgers and fries helped Bernie's Turner grow his business from one bus to three busses and now to two restaurants. 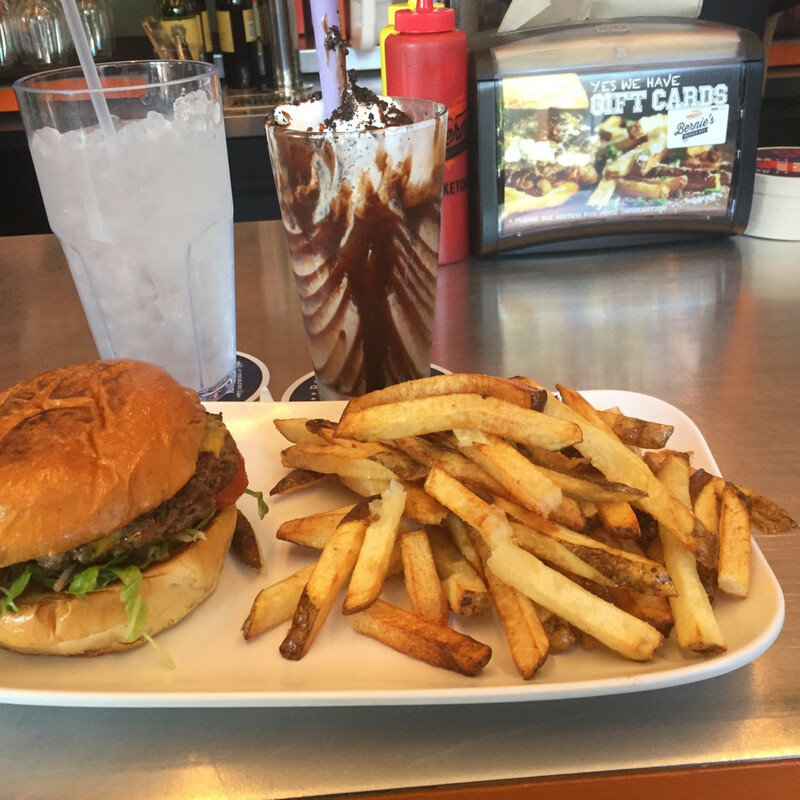 Although the vehicles may be gone from the streets, their spirit lives on with the fresh ground beef patties and house made condiments that diners have come to know and enjoy. Sneaking in during a lull on Saturday, I found the restaurant off to a solid start. 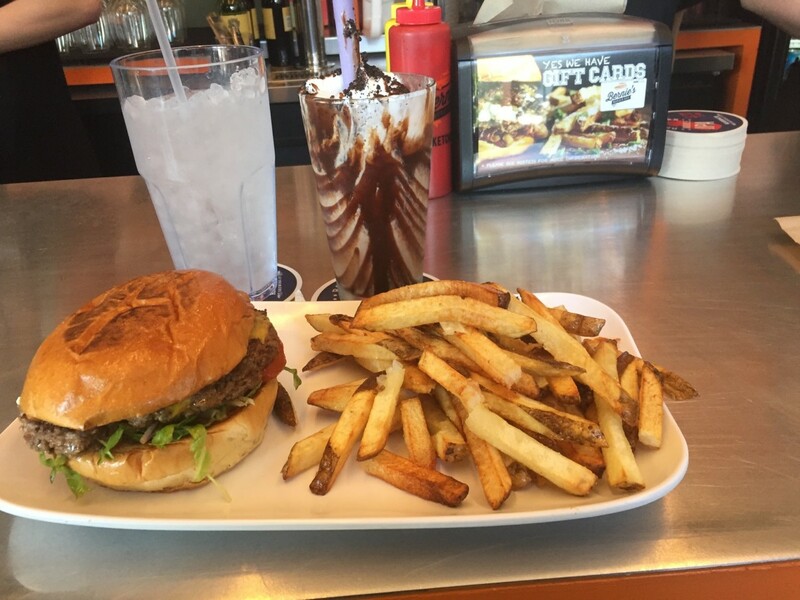 My principal burger arrived cooked to a juicy medium, and the fresh-cut fries showed up as hot and crispy as they typically do. When it comes to ketchup, Heinz is usually the way to go, but the Bernie's version dials back the sweetness and ups the Worchester for a more grown up tang that's very appealing. Beverage options are similarly straightforward with a mix of sodas, milkshakes and Texas craft beer. Turner keeps things interesting with a variety of specials. In November, the milkshake blends bourbon pumpkin pecan pie into vanilla ice cream for a taste of fall. Turner should have just enough to get the new outpost running smoothly before his third location opens in The Heights next summer. 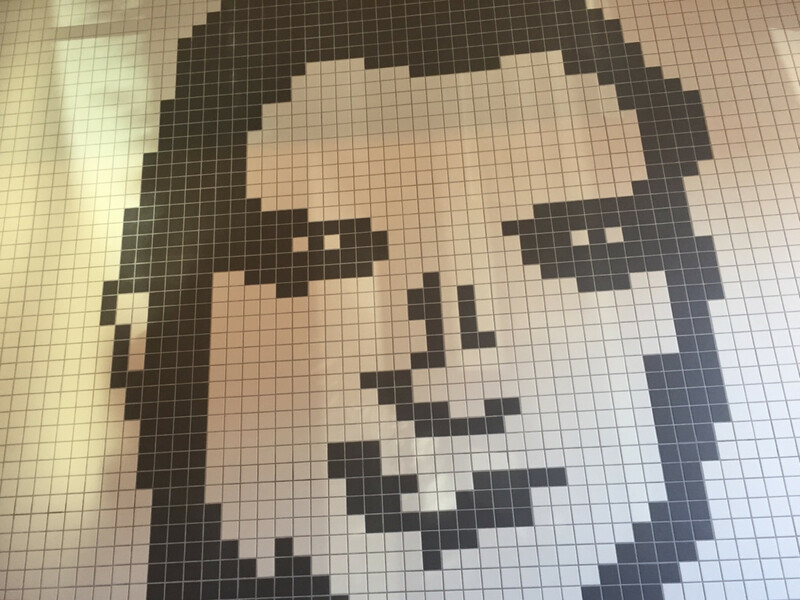 That spot will feature both the company's first bus and its first grill: a nice way to pay homage to his history while looking towards more restaurants in the future.